If you are developing mobiles apps, there are plenty of places on the internet that you should be frequenting to ensure you are up to date with the latest happenings in the mobile dev space. In this article, we are looking at some of the top webistes app developers should visit, and giving reasons why they are so important. App review websites do one thing – they review mobile apps. By looking at professional app reviews, you can work out what apps have potential, and what apps don’t. This can be used as a great way to gauge the potential of your own app in the making. Not only can you view other reviews to get a better idea of the quality of your own app, but you can even reach out to reviewers and get your own app reviewed for promotional reasons. 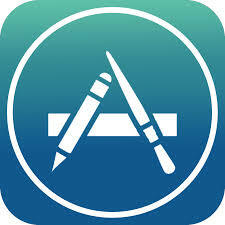 One of our favorite app review websites is 148apps. Some developers have managed to pretty successful in the app store, and they want to share their experiences with the world. These developers may have their own blogs where they share details on their success within the app store, and you may be able to learn a thing or two from reading developer blogs. Developer blogs take things to a much personal level, and they show that everyone does have to struggle to make it in the app store. A good example would be the blog by Dan Counsell, the creator of Clear. There are many big mobile analytic networks out there, and whilst most of them charge for metric data, they often post up useful information and stats on their own blogs. If you want to get a better idea of the state of the app store, see how well apps are performing, and better understand your own chances, then app metrics blogs are a great place to start. We’re a fan of the blogs that App Annie often puts up on their website, but there are of course many other great alternatives out there too. If you need to ask a question, or are hoping for a collaborating partner, there is no place better to look than developer communities, whether it’s a forum like XDA Developers or MoDaCo, or a community on a website like Reddit, chances are you can learn a lot from developer communities. You may even want to look at the official Apple and Android forums for help. Hopefully you have learned a thing or two about the Top Websites App Developers Should Visit after reading this article.